The TBE Annual Congress took place this year on 21-23 June in Gdańsk, Poland. It was kindly hosted by the Employers Association of Building Ceramics ZPCB (Zwiazek Pracodawcow Ceramiki Budowlanej) and co-organised by TBE. During meetings, TBE presented to members important information and key updates on EU legislative dossiers crucial for the competitiveness of the brick and roof tiles production industry. The congress opened on Thursday, 21 June, in the morning with the TBE Masonry Product Group, followed by the TBE Joint Environmental and Technical Working Group. Issues discussed included the reform of the EU Emission Trading System Directive (ETS) and the implementation of its phase 4, including the carbon leakage list and the ETS benchmarks update. Moreover, the revision of the Energy Performance of Buildings Directive (EPBD), the Future of the Construction Products Regulation (CPR) as well as the EU standards, such as EN15804 were also explored. Furthermore, briefings were delivered on the Circular Economy package, Clean Energy for All Europeans, and Smart CE marking. The day closed with the TBE Roofing Tiles Product Group. During the Product Group meetings, TBE Members had an opportunity to acquire a global overview of the numerous activities undertaken during the last year by the respective groups. Presentations were given by TBE experts and discussions took place on energy-efficient refurbishment and other standardisation matters. 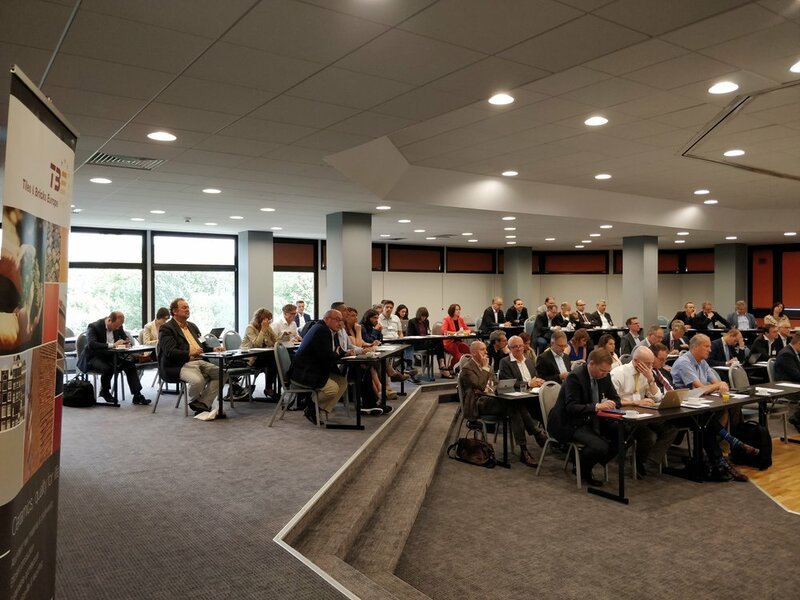 On the morning of the Friday 23 June, the TBE Executive Committee took place and shortly afterwards the General Assembly at which the main achievements of 2017-2018 were presented. TBE President, Mr. Jaroszewicz spoke about the forthcoming priorities in the field of climate, environment, and sustainability for 2019. Mr. Jaroszewicz also informed members that a TBE Task Force will be established to prepare the sector for a review of BREF. He underlined a need for active involvement of TBE Members in this regard. The General Assembly finished with a presentation delivered by this year’s sponsor – SMAC S.P.A. The TBE Congress 2018 officially closed with a common lunch, whilst members were afforded the opportunity to continue exploring Gdańsk as part of the social programme organised by ZPCB. This included visits to the centre of Gdańsk on Friday afternoon and to the medieval castle of Malbork, a UNESCO-protected site and the largest brick castle in the world, on the Saturday morning. Thank you to the TBE Members and in particular the Polish hosting association: the Employers Association of Building Ceramics (ZPCB) for a successful TBE Congress. Next year, TBE Members will be welcomed to Denmark for the TBE Congress 2019, kindly hosted by the Danish Association. We are looking forward to seeing you there.